Refrigerated services are far from new. The first refrigerated railroad car was patented in 1867. This invention sparked a revolution. Food, dairy, and meats underwent a cultural transformation. People could expect different quality and different products all across the United States as a result. But the benefits of refrigerated services today go far beyond the access to traditional goods. Businesses that select the best-refrigerated transport services can gain access to a larger market base. Professional refrigeration shipping services go beyond keeping products cool. With a trusted service partner companies can realize the major value of logistics support and shipping. Controlling temperature and protecting shipments has two major components. This includes the density and packing of the cargo, as well as the temperature controls. Unless both are factored, along with the delivery of cargo along the way, businesses won’t get the protection from their refrigeration systems they need. Also, too many businesses that use their own shipping fail to maximize their spend. With efficient packing as part of the service, each business can get the full value of every shipment. The business world is increasingly specialized. As part of a standard operating plan, most businesses are working to decide what their core competency is. Unless businesses focus on their core competency, they are working at a disadvantage. Everything from tech services to human resources is typically open for outsourcing to remain competitive. The reason is that these partnerships strengthen service offerings. Further, they allow every essential component to be at the high end of expertise. A trusted refrigerated services provider will have trained professionals to meet every need. This level of training and expertise is impossible for most companies to achieve on their own. Professional services are more complex than many companies understand. Logistics and transport are the backbone of many successful businesses in the digital marketplace. But beyond the benefits of these core requirements comes a complex safety standard. The training, documentation, and products required for safety compliance demand experience and attention. Utilizing the right refrigerated services assures these aspects of business operations are in full compliance. The safety of transport services, as well as the safety of the transported goods, can be assured. Today’s refrigerated transport services offer a high level of temperature control. This control allows for medical supplies, food, and other cargo to be in full adherence to temperature standards. These temperature controls also offer protection in the unlikely event of a breakdown or flat tire. Even with a delay in the shipment due to unforeseen circumstances, businesses can rest assured their assets will be protected. Refrigerated serviced don’t simply mean freezing the product. From flesh flowers to highly controlled medical shipments, the level of control from refrigerated transport is the support many businesses require. In the book Ten Restaurants that Changed America, author Paul Freedman details the cultural changes that have shaped American culture. One of the clearest trends in recent time is the shift from mass-produced food goods to local and fresh foods. People are continually demanding a fresh and customer-centric experience. This expectation requires the support of refrigerated trucking. Keeping it fresh doesn’t just apply to foods, but it can. Consumers don’t just want healthy, fresh foods — they are willing to pay more for them. Refrigerated services are not a one size fits all offering. Different companies have fluctuating needs. The needs of each shipment are precisely adjusted for with refrigerated services. A trusted service provider will take care to match expectations against equipment performance. This level of expertise offers companies peace of mind. As their offerings change they can rely on the same provider to tailor service to their cargo requirements. Businesses need to provide consumers and 3rd parties information in the now. With tracking services integrated into shipping, every moment is accounted for along the way. Companies can provide internal and external stakeholders with information in real-time. The success of Amazon and other online retailers is a result of catering to the customer experience. In the digital age the more that companies can cater to the unique expectations of their clients, the better. There is a $600 billion opportunity in the marketplace. Millenials have a preference for ordering food, including hot and cold items. The right transport partner won’t just give you reliable service. The right transport service will give you access to a whole new opportunity with a changing digital marketplace. It isn’t enough to collect data. The competitive advantage data offers resides in the analytics it provides. Refrigerated transport services professionals will go beyond the basics of data collection. They can match the KPIs of transport to the metrics each company uses to measure performance. Manufacturers and service providers are right to cringe at waste. Without asset protection, an entire lot can spoil, or fall out of compliance. Refrigerated transport offers the boost to ROI companies are searching for. By protecting every asset, each component of manufacture or harvest is brought to full potential. Companies don’t get paid unless they deliver. Businesses that know the value of securing refrigerated services need to go one step further. It isn’t enough to understand the benefits and reasons. It’s just as important to select a service partner that can deliver the full benefits of these services. Without experience, expertise, and dependable quality, companies will find their services fall short of reaching their goals. ASAP Courier is the provider of choice. We help companies boost sales, and provide dependable support and service. 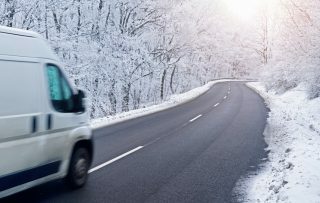 Companies can’t leave their refrigerated transport services to chance. There is too much at stake. Contact ASAP Courier today and discover more about how we can help you achieve your refrigerated transport goals.